Deconstruction Reconstruction is a performance that tries to better understand the death and rebirth of cells in the body. In this performance their are four participants, who set the stage in the public realm. The participants have only white props which unifies all involved as one cohesive system. 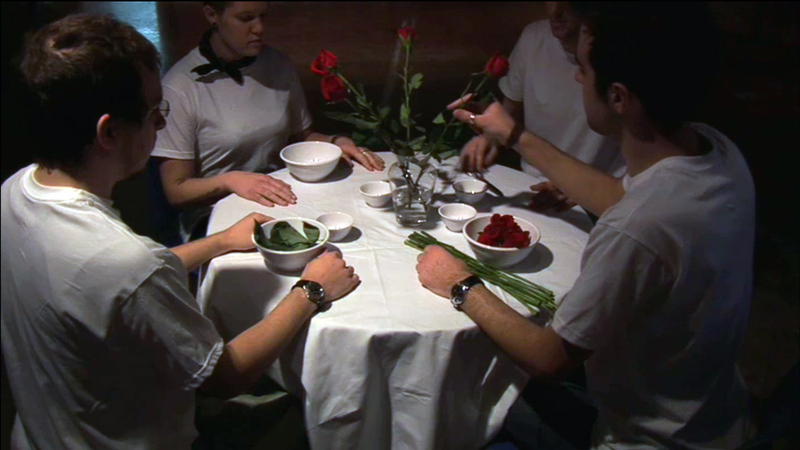 The performance starts with each participant reaching for a rose. 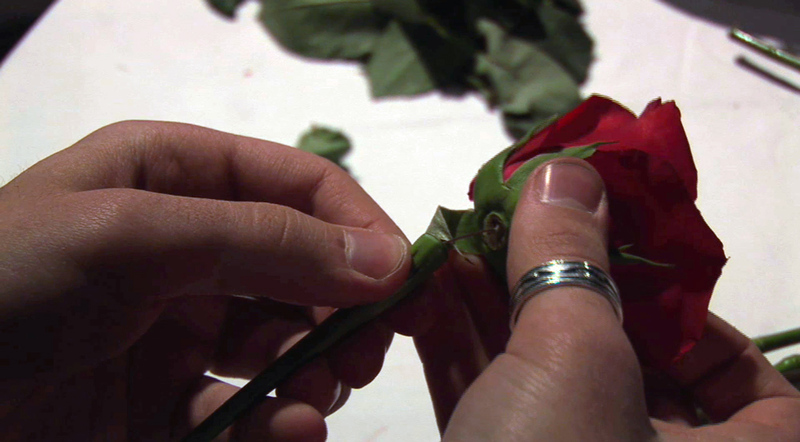 Each person is responsible for replacing a specific part of the rose, these include, the bud leaves, stems and thorns. Once an individual replaces their respective part they wait till all others have finished and pass their rose counterclockwise to the next individual. This process is repeated eight times. Once finished all participants place their reconstruction rose in the vase, grab their equipment and leave. The vase and roses are left behind as a spectacle for the public.